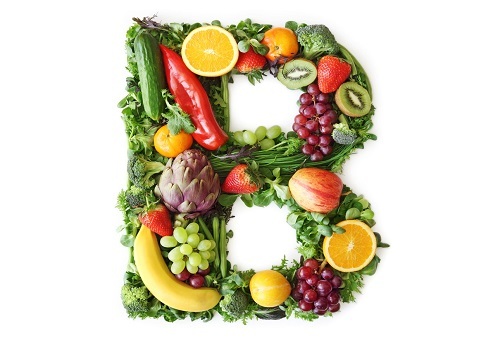 Vitamin B belongs to the class of water soluble vitamins that have shown effects on the metabolism. It is constitutes of total eight vitamins which are important for the functioning of the cells of the body and transforming food into energy. Vitamin B is found in the whole unprocessed food and the most popular way to increase an intake of vitamin B is through the dietary supplements. Each type of vitamin B plays an important role in the human body. Vitamin B1 which is thiamine plays an important role in releasing energy from the carbohydrates. It is an essential dietary vitamin and the deficiency of this can cause cardiovascular and neurological disorders in the human body. The deficiency of this vitamin results in the decrease in carbohydrate metabolism and its interconnection with amino acid metabolism. Low level thiamine also leads to the chronic and severe problem which is known as beri beri. It is of two types, wet beri beri and dry beriberi. Wet beri beri causes an effect on the cardiovascular system and results in shortness of breath, irregular heartbeat, and leg swelling. Dry beri beri causes an effect on the nervous system and results in the symptoms like numbness, confusion, and pain in the legs. Vitamin B2 is known as riboflavin and it is known as one of the energy vitamins. It is involved in two important enzymes, Flavin mononucleotide and Flavin adenine dinucleotide which helps in manufacturing energy and it not only manufactures from carbohydrates but also from fats and proteins. Vitamin B2 promotes the growth of hair and nails and also helps in maintaining healthy skin. Riboflavin is involved in regenerating a substance called glutathione which acts as a protector in the body to fight against damage from free radical. Also, deficiency of this vitamin affects the vision, increases the risk of diseases like cancer and peripheral neuropathy. Vitamin B3 is known as niacin and it plays a role in many body reactions. Niacinamide and Inositol hexanicotinate are two forms of niacin that have different effects. Niacin plays an important role in the body as it helps in producing energy by converting food into glucose. It also helps in controlling health problems such as elevated cholesterol. Also, there are some evidence that suggests that niacin helps in delaying the time a diabetes type 1 patient would take in taking insulin. Deficiency of Vitamin B3 increases the risk of diseases like dementia, dermatitis, mental disturbance, and diarrhea. Vitamin B5 is known as pantothenic acid and it plays a crucial role in manufacturing antibodies, acetylcholine and adrenal hormones. As it supports the production of adrenal hormones it is also known as anti-stress vitamin. It is also important for the functioning of the joints and helps in reducing the level of cholesterol and triglyceride. It helps in treating depression, anxiety, and reduces toxic waste from bacteria. Since pantothenic acid is available in almost all food items, therefore deficiency of this vitamin is quite rare. Vitamin B6 is known as pyridoxine and it is important to maintain a healthy immune system, arteries, bones, and nerves. Vitamin B6 is essential for many metabolic pathways which include protein metabolism and amino acid. Vitamin B6 is basically of three forms, pyridoxine, pyridoxal, and pyridoxamine. Some of the symptoms that indicate the deficiency of this vitamin include depression, anxiety, insomnia, peripheral neuropathy, and weakness. When the deficiency is extreme it can lead to problems such as dermatitis, premenstrual tension syndrome, and atherosclerosis. Vitamin B7 is known as biotin and it plays an important role in the metabolism of carbohydrates, proteins, and lipids. It helps in synthesizing glucose by breaking down fats, carbohydrates, and proteins. It is involved in the formation of strong nails and it is essential for the healthy hair as it improves the metabolism of the scalp oil. Some of the symptoms that indicate the deficiency of Vitamin B7 include dry scaly skin, hallucinations, nausea, vomiting, tingling sensation in the arms and legs, and depression. Vitamin B9 is known as folate and it works together with Vitamin B6 and Vitamin B12 to control the blood levels of the amino acid homocysteine which is related to many chronic health problems such as the heart disease. It is a vital vitamin that is required during pregnancy as it plays an important role in the development of the brain and nerves. It prevents any defect in the development of the unborn. According to some researchers, folate also helps in reducing the risk of the development of Alzheimer's disease and some types of cancer. Vitamin B12 is known as cobalamin and it helps in keeping the nerves and the blood vessels of the body healthy. These days a deficiency of this vitamin is very common in people. It can be found in large amount in the animal products such as meat, fish, and dairy products. Vitamin B12 Is the important vitamin to keep the bones healthy. Deficiency of the vitamin B12 is one of the reasons for osteoporosis. Osteoporosis is a disease in which the bones of the body becomes very weak. Patients having this disease lack this vitamin. It is an important vitamin for the nervous system as it requires when the neurotransmitters signals and allows the body to perform tasks easily.